what is Dry Needling / Western Acupuncture? Dry needling is a ‘Western style’ of Acupuncture that is used to manage injuries and their symptoms via its affect on the nervous system at localised myofascial trigger points. Expertly applied, dry needling provides substantially more release than a heavy massage does and with far less surrounding tissue damage. As a result, this technique is now used widely in sports medicine and day-to-day physiotherapy and is a large part of Core Physiotherapy and Pilates Studio’s specialty. 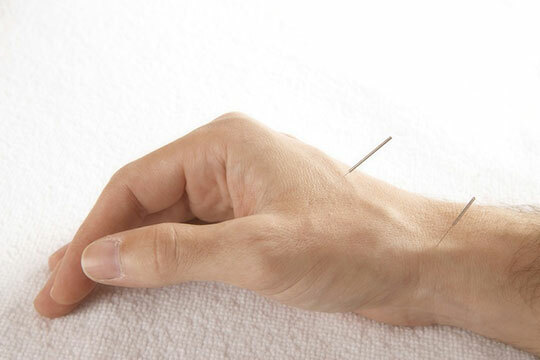 Dry needling is not Acupuncture, a practice based on traditional Chinese medicine and performed by Acupuncturists. Dry needling is a part of modern Western medicine and based around principles that follow the anatomical function on the muscular and nervous system. A trigger point is a localised taut band of skeletal muscle located within a larger muscle group. Trigger points can be tender to the touch, and touching a trigger point may cause pain to other parts of the body. This tightness in the musculature related to trigger points is thought to be related to changes in the nerve bundles within the muscle. Effecting these trigger points may provide a direct link to effect the nervous system to assist in changing muscle tone and therefore how muscles act on our joints. 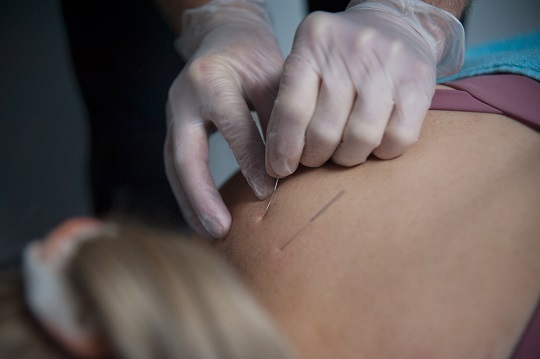 Dry needling involves a very thin needle that penetrates the skin and stimulates underlying myofascial trigger points and muscular and connective tissues. Needles are single use, sterile, and are disposed in appropriate sharps receptacles. The Needles are of different lengths, which are used for getting to trigger points in different sized muscles. The use of Dry needling is usually performed as part of a larger treatment plan that will include other aspects such as joint mobilisation, massage, stretching and exercises. A trained Physiotherapist will decide on the amount of Dry Needling to be utilised in the treatment plan. This is dependent on the exact diagnosis and also the effects that the muscular and nervous system are having on the healing of the injury. In cases of severe muscle tone, Dry Needling can be a more gentle approach than firm soft tissue techniques. what types of conditions benefit from Dry Needling?